New research has claimed energy-saving measures such as those offered under the Government's Green Deal scheme could actually cause household temperatures to soar to dangerously high levels. Things such as loft insulation designed to help customers save money on winter fuel bills could actually pose a health risk during summer heatwaves according to the study. In the research, conducted by Prof Goodier and Prof Li Shao, of Leicester's De Montfort University, flats on the top floors of older 1960's tower blocks as well as modern detached homes were listed as particularly at risk from overheating, especially if they happen to be south facing. Prof Chris Goodier, of Loughborough University's department of civil and building engineering, said: " Overheating is like the little boy at the back of the class waving his hand. It is forgotten about because the other challenges are so big." 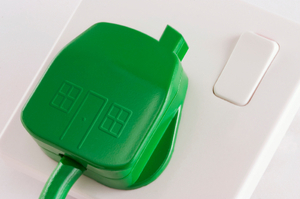 The Green Deal initiative was launched by the Government back in January to encourage UK homeowners to make their homes more energy efficient. Under the scheme, loans or potential cashback are being offered on the introduction of measures including a new energy efficient boiler or loft or wall insulation to a home. Actual uptake of the loans has been quite low however, with only four households actually taking up the measure. Nevertheless, according to the study, such measures could pose health risks in the summer months, especially amongst the elderly. Prof Goodier added: "If you are in the wrong type of house, facing the wrong way, in the wrong street and you don't deal with heat in the right way, it is a problem. "Particularly for the elderly. They are going to suffer. Suffering means they are going to die from overheating." In response to the research from Prof Goodier, the Department for Climate Change issued a statement which read: "DECC is working with experts and other government departments to understand the potential risk of overheating in retrofitted homes and ensure that the energy efficiency supply chain, including those working within the Green Deal, are aware and guidance is provided on homes which are most likely to be vulnerable and what steps could be taken to minimise any risk of overheating."